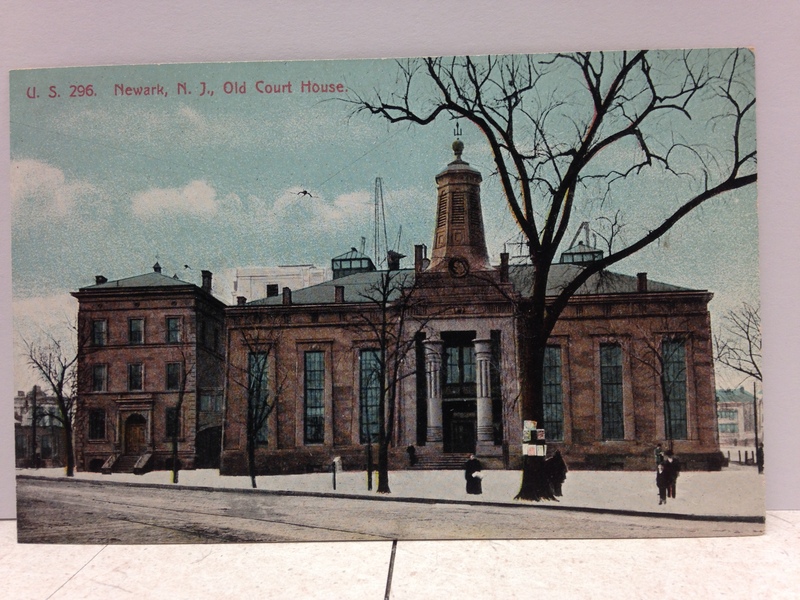 This lovely post card depicts the 1837 Egyptian Revival Essex County Courthouse. The current Historic Courthouse can be seen rising behind it. The elegant and simply decorated brownstone courthouse was demolished in 1906 when the “new” courthouse opened.